Tis' the season for lots of red, white and blue, but of all those colors, blue is most definitely my favorite! 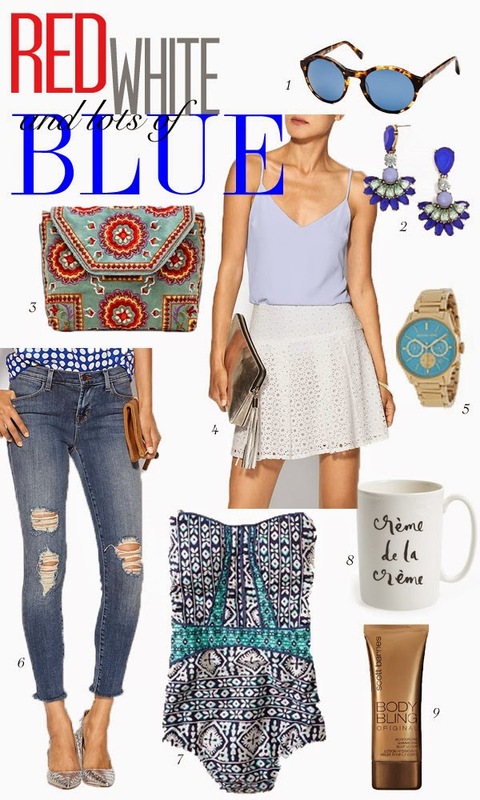 so instead of focusing on all the patriotic looks, I stuck with a few of my favorite blue-ish items that can be worn year round! I'm in love with each of these items, especially the color of the top! It's called "arctic ice" and couldn't be a more gorgeous color! I hope you're all having a wonderful week so far and have fun plans for the fourth! I need that clutch! Gorgeous picks! Great picks! Love the clutch! Happy 4th of July! Loving those earrings! Hope you had a great 4th of July!